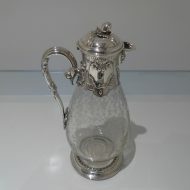 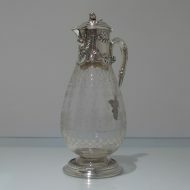 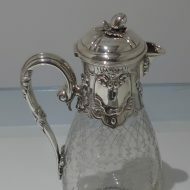 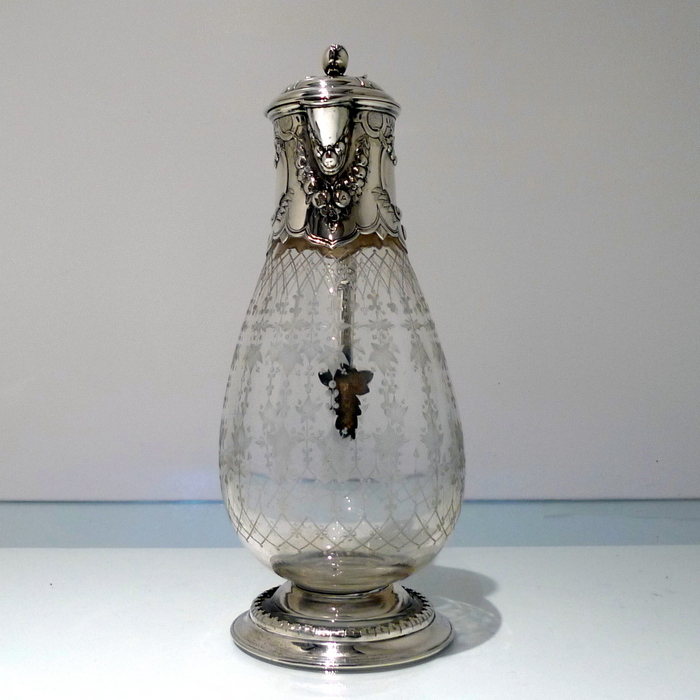 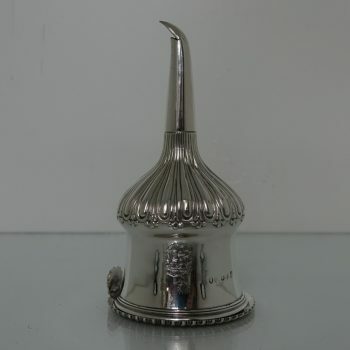 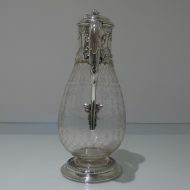 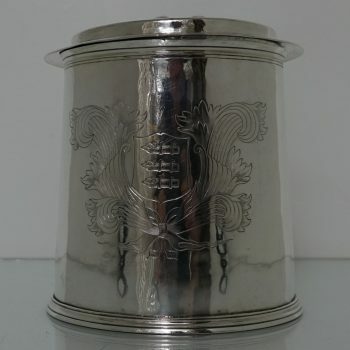 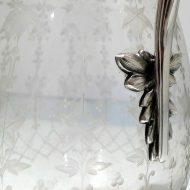 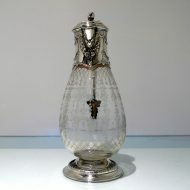 Sterling Silver & crystal mid 19th century claret jug. 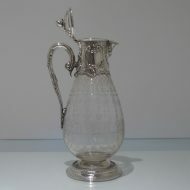 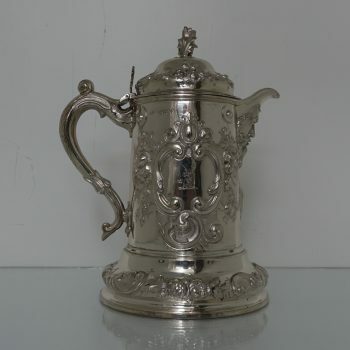 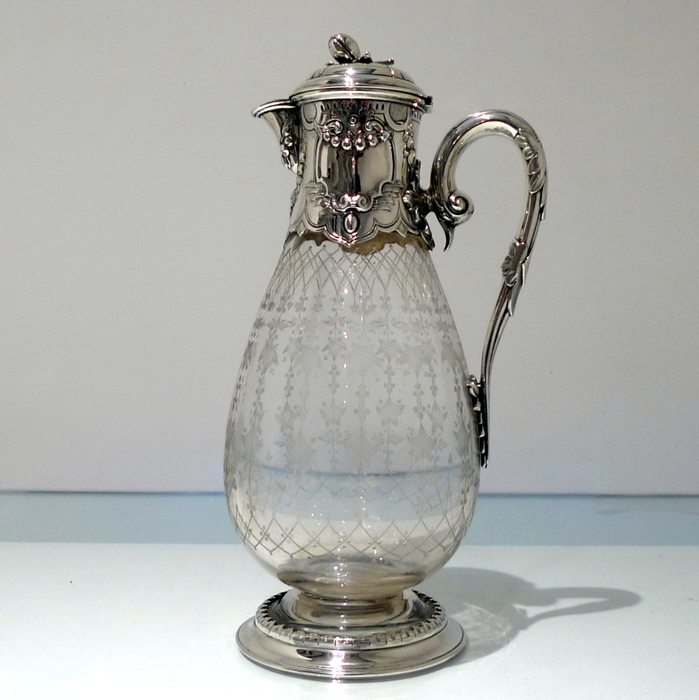 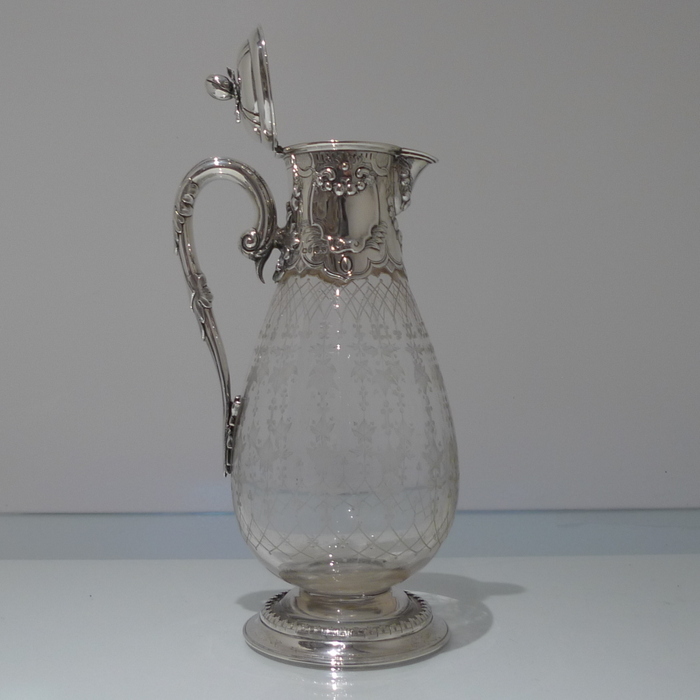 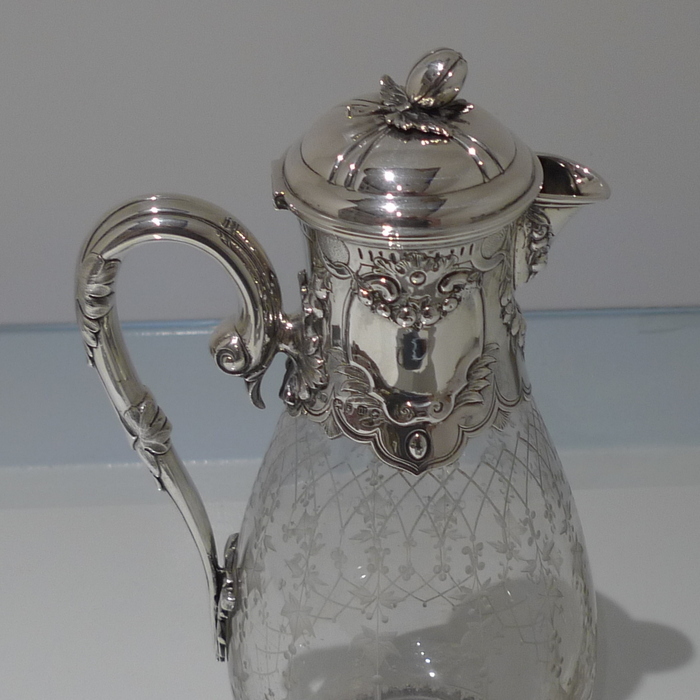 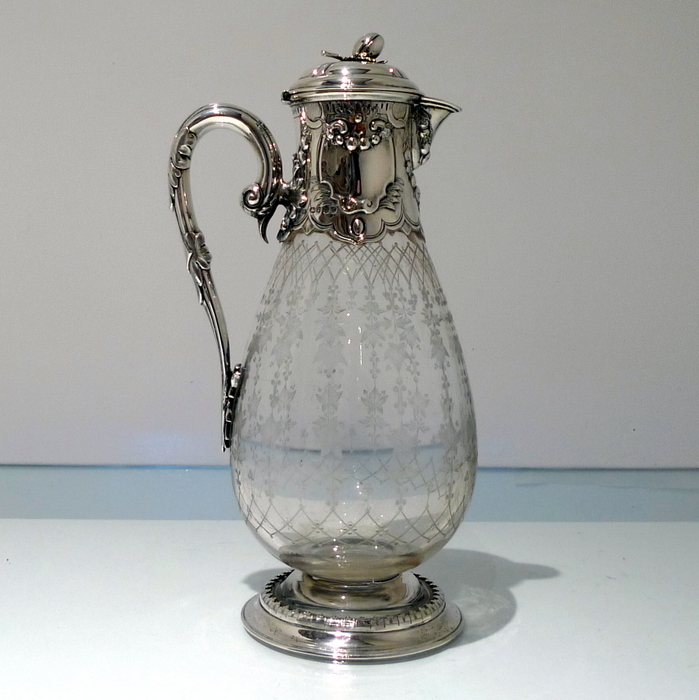 A splendid and extremely rare model of a Victorian silver and crystal claret jug. 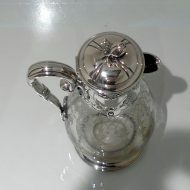 The mount has ornate embossed workmanship for highlights. 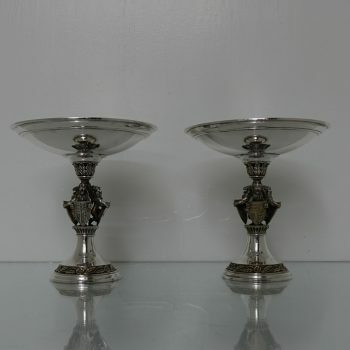 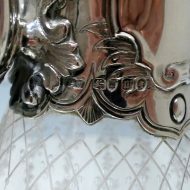 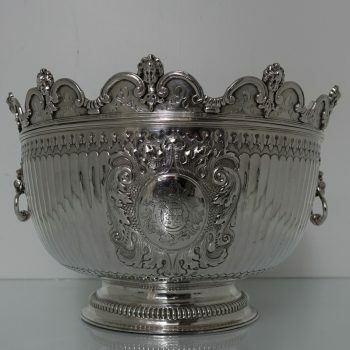 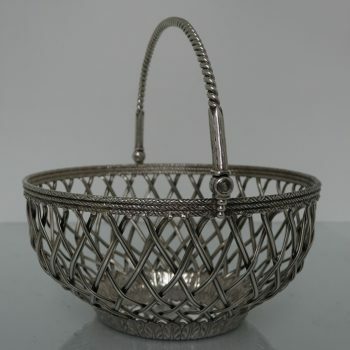 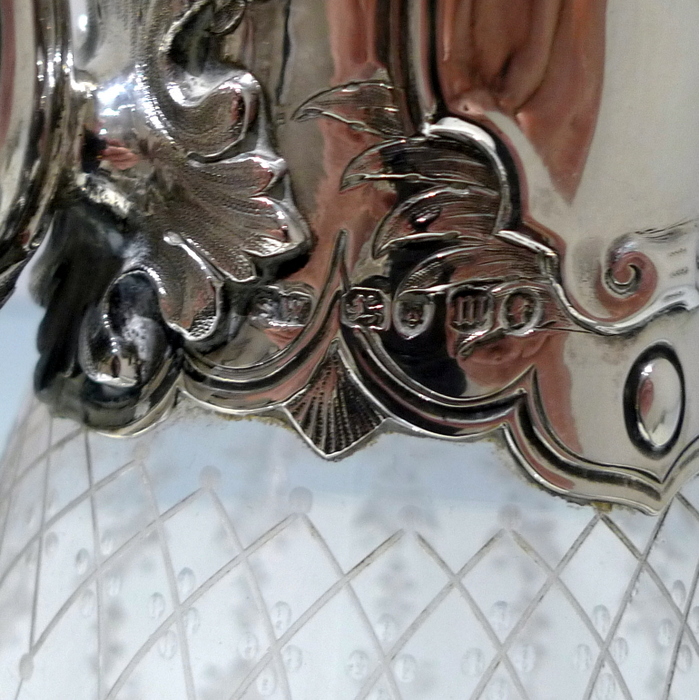 The bowl has intricate etching for decoration and sits on a stylish silver and crystal foot.